We’re a diverse group of nonprofit workers, union organizers, issue advocates, policy directors, legislative aides, small business owners, engaged students, active parents, and more passionate about making our communities a better place through Democratic political activism. Our mission is to redefine and defend the American dream. Join us. 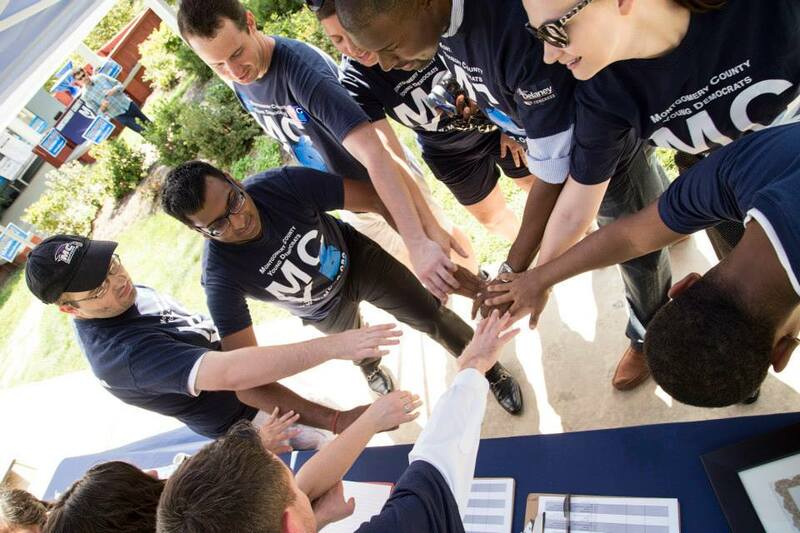 Become a Montgomery County Young Democrat. Join us the 3rd Tuesday of every month for our monthly general body meetings at the Rockville and Downtown Silver Spring Libraries. Each meeting includes opportunities to learn more, get involved, and meet new people - and join us for our post-meeting socials. See www.mcyd.org/events for specific locations or topics. To contact MCYD, please email us at mocoyoungdems@gmail.com!